About a year ago, I began a series of responses to Dr. Travis Campbell, who wrote a critique (“Avalos contra Craig” = ACC) of my chapter on the historical Jesus in The End of Biblical Studies. See abbreviated Google version of the book. I addressed the first issue here. The second issue is addressed here. The debate between myself and W. L. Craig is found here. This post discusses how Craig is a selective supernaturalist insofar as his attack on methodological naturalism betrays an appeal to supernaturalism only for events he favors and not because of the application of some consistent criterion. As I argued in The End of Biblical Studies (pp. 186-87), naturalism refers here to the idea that natural causes are the only valid explanations for all phenomena, including historical phenomena. In general, some scholars find it useful to distinguish between ontological naturalism and methodological naturalism. See: William Lane Craig and J. P. Moreland, Naturalism: A Critical Analysis (London: Routledge, 2000). Ontological naturalism holds that the natural world is all that exists. The corollary of that proposition, of course, is that supernatural phenomena and entities, such as God, do not exist. Methodological naturalism, on the other hand, makes no claim about whether the supernatural exists. Rather, it argues that natural entities and causes are the only ones we can know or investigate. For Craig, the success of any effort to establish the historicity of the resurrection is largely linked with the allegation that naturalism is inadequate to explain the resurrection accounts. So, it was odd that Craig would deny the historicity of a resurrection story in Matthew 27, and yet affirm the historicity of the resurrection of Jesus in the very next chapter. Craig explained that Matthew 27 had a natural explanation insofar as the description there was due to the use of apocalyptic language. This idea was voiced by Robert J. Miller in an article for an anthology to which Craig also contributed: Robert J. Miller, “Responses: What Do Stories of the Resurrection Prove?” in Paul Copan, ed., Will the Real Jesus Please Stand Up? pp. 77–98. Since stories of resurrections apparently should not be taken literally when they occur in apocalyptic genres, then Craig is actually using a naturalistic explanation to dismiss the historicity of this story. Therefore, Craig is being selective in his supernaturalism. He thinks some things reported as miraculous in the Bible actually are not historical and have a perfectly natural explanation—a writer inserts them for effect in apocalyptic genres. Craig follows methodological naturalism when it suits his theory, and rejects it when it does not favor his theory. The denial of the historicity of such an event is probably due to the fact that some citizens of Jerusalem would have observed a noticeable increase in the population of formerly dead people approaching them (“they appeared to many”). Imagine how many people would have written about seeing graves opened and their metabolically challenged residents coming out to greet and appear to living citizens. Surely, there were at least a few Jewish scribes who would have mentioned this monumental event, along with some curious or frightened Roman writers. But, as Campbell notes (ACC, p. 301), no one else seems to have noticed outside of Matthew. So, instead of using some of the other criteria Craig uses to defend the Jesus resurrection (e.g., uniqueness of the report; reliability of Gospel witnesses), he surrenders to naturalism. Of course, Craig’s denial of the historicity of Matthew 27:52-53 undermines his entire defense of the resurrection. Apocalyptic language, therefore, should be language that reflects that belief. Second, Craig does not explain why ALL of Matthew could not itself be part of an apocalyptic story or permeated by apocalyptic thinking and language. It certainly looks as if Jesus is poised to end one era of human history, and begin another. So, why not just as well say the apocalyptic expectations in Matthew are signaled by the resurrection of BOTH the saints AND Jesus? Otherwise, it is inconsistent to say that despite the apocalyptic language throughout Matthew, Craig has just willy-nilly decided that Matthew 27:52-53 should not be taken literally, but all of Matthew 28 should be. These criteria are too ambiguous to be meaningful. For example, what is so complicated about a story of saints rising from their graves that is told declaratively in two verses? Meanwhile, the story of Jesus’ resurrection is longer and has more characters and actions. So, I am still not sure what “simplicity” would mean. “Apocalyptic embellishment” is also too ambiguous and already prejudicial. How did Craig determine that the details in Matthew 27:52-53 were “embellishments” in the first place rather than a description of actual events? Throughout Craig’s defense of the resurrection there is an appeal the use of the Greek words that supposedly indicate that the story should be taken in a literal and historical sense. “Gundry succeeds admirably in carrying his main point: that soma is never used in the New Testament to denote the whole person in isolation from his physical body but is much more used to denote the physical body itself or the man with special emphasis on the physical body” (Craig, Assessing the New Testament Evidence for the Historicity of the Resurrection of Jesus [Lewiston, Maine: The Edwin Mellen Press,2002], page 86; emphasis mine). Yet, the plural of SOMA (σώματα) is the very word used for the resurrection of the saints in Matthew 27:52. So, while SOMA is a crucial word to support the historicity of the resurrection of Jesus, Craig now completely disregards the use of that word in Matthew 27:52. “In fact the very verb ἐγήργηται seems to imply that the grave is left empty. The two verbs ἐγείρειν and ἀνιστάναι are used synonymously throughout the New Testament...Both verbs also mean to ‘raise upright’ or ‘to erect.” This can only have reference to the body in the grave, which is raised to new life... As Brown reminds us, “It is not really accurate to claim that the New Testament references to the resurrection of Jesus are ambiguous as to whether they mean a bodily resurrection—there was no other kind of resurrection” (William Lane Craig, Assessing the New Testament Evidence for the Historicity of the Resurrection of Jesus [Lewiston, Maine: The Edwin Mellen Press,2002], p. 66; emphasis mine). So, Craig now has two words that he has affirmed to be crucial in describing a literal historical event, yet he completely disregards them as important in Matthew 27:52. He is a selective supernaturalist. Overall, Campbell's defense of Craig’s selective supernaturalism confirms my claim that HE IS a selective supernaturalist. Campbell mainly tries to justify that selective supernaturalism by using arguments that undermine not only the resurrection story but also other biblical stories that are presumed to have supernatural explanations. Campbell remarks (ACC, p. 301) that Craig claimed at our debate that “he was not sure what to do with Matthew 27:52-53.” (See YouTube debate 1:08:36ff). But elsewhere Craig affirms much more certainty than Campbell allows: “Dr. Miller’’s interpretation of this passage strikes me as quite persuasive, and probably only a few conservative scholars would treat the story as historical” (Will the Real Jesus Stand Up?, p. 165). Campbell alludes to the fact that only Matthew mentions the resurrection of the saints as supportive of non-historicity. Yet, that would also undermine the historicity of many other miracles mentioned only once. The creation of woman from the rib of a man is mentioned only once (Genesis 2:21-23) in the Hebrew Bible, and so is that cause to regard it as less historical? We have only one canonical source (Luke 2) for Jesus being born in a manger, and only one source (Matthew 2) for Jesus being visited by the Magi, and so is that cause to regard those as less historical? “By ‘Supernaturalism’ we mean that God can (and does), from time to time, intervene in the natural order to produce miracles. By ‘selective’ we mean that God’s ability to do anything does not mean that he has done everything attributed to him. Out of the pool of purported miracles we must acquiesce to some and reject others. Theologically, these sources do not have the same credibility. Usually, conservative apologists would say that miracles attributed to God in the Bible are to be taken literally, while those of non-biblical figures may be questioned. By conflating biblical and non-biblical sources, Campbell still leaves unexplained how he determined that some biblical authors or stories should be considered historical and some should not be considered to be historical. After all, my question here pertained to how BIBLICAL stories in Matthew 27 and 28 could be differentiated as historical or unhistorical by Craig, and not how biblical and non-biblical stories could be differentiated. As I have pointed out, in the case of Medjugorje we have even MORE evidence than what is available for the supposed stories of Jesus’ resurrection. In addition, I am not sure what Campbell means by “little or no evidence,” given that we can find literally thousands of people willing to testify that they have been healed by the prayers of those evangelists. So, how do thousands of testimonies from living witnesses constitute “little or no evidence” compared to the testimony of four gospel writers whose stories we cannot verify at all? And how exactly have my healings been falsified? 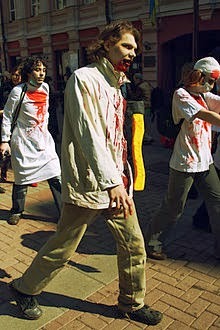 Has Campbell talked to the people who claimed to have been healed? Did he do any medical tests to falsify those claims? For the record, I never claimed to have raised the dead through my prayers, but I have seen what I thought were resurrections. If Campbell means that my testimony of NOW being an atheist falsifies any miracles God performed at the time I did believe in God, then his own theology would seem to contradict that. If Campbell believes that God exists, then there should be nothing to prevent God from answering the prayers of a person at a time that this person believed in God. Otherwise, what theological principle prevents God from working a miracle through a person that subsequently stopped believing in God? Was Judas Iscariot not able to perform miracles prior to denying Jesus? Finally, even if I became an atheist after my career as a faith healer, there would still remain dozens of other people who might testify that they DID witness a resurrection and healings. So, do their testimonies not count if one of their members leaves the group? Assuming that Campbell agrees with Craig, Campbell still has not adequately explained why he rejects Matthew 27:52-53 as historical, but accepts Matthew 28 as historical. If the answer is YES, then it is natural. But how would one even detect something that cannot be detected by the natural senses and/or logic? If I could detect with my natural senses and/or logic, then it would be natural. If I cannot detect it with my natural senses and/or logic, then it is simply undetectable or irrelevant for any explanation of an event I witness, much like undetectable Martians are irrelevant in explaining any event I witness, whether that be a murder or a resurrection. And to say that something is not natural, one would have to be practically omniscient because that would be tantamount to saying that we know all the natural factors that could possibly be responsible for an event, and are claiming to know that none of the factors was responsible. No one has the kind of knowledge, and so consequently no one could ever call anything non-natural. So, even if there were a resurrection, it would not mean that it was not natural rather than due to some unknown natural cause. Unless one can demonstrate the supernatural to exist, then it is not reasonable to attribute anything to a supernatural cause. Craig and other selective supernaturalists (as there are really no individuals that explain everything supernaturally) really miss the real reason that naturalism is the best method to explain past events. A naturalist can be perfectly consistent, while a supernaturalist can never be perfectly consistent. Let’s take a simple example of a baby on a doorstep. Suppose I open my door one morning, and find a baby in a basket on my doorstep. It is an historical event because its placement is now in the past, and I would explain it just like I would any other event in the past. A. An undetectable Martian placed the baby there. B. One or more human beings placed the baby there. Which one would be the more reasonable historical explanation? Usually, most people would say that Option B is more reasonable. But in saying so, they are actually applying a very basic principle of explanation that encompasses all historical explanation. First, notice that the reason for choosing B is NOT really “possibility.” That is to say, it is perfectly possible that undetectable Martians exist and place babies on doorsteps. I certainly cannot prove this explanation to be impossible by any logical means. But if the “impossibility” of Option A is not the reason for selecting Option B, then what is the criterion being used? In other words, we choose Option B because human beings moving and placing babies is a known and verifiable cause of the more general phenomenon of baby placement. I suppose that a trained animal or a robot might also be able to accomplish such a feat, and so we might include them in our pool of causes. But they would still be natural causes. We need not observe every instance of a phenomenon to verify that human beings can place babies on doorsteps. We can do it ourselves. However, Option A has never been observed to cause anything by anyone, at least to my knowledge. Therefore, Option A does not belong in any list of known explanations. The principle of using known and verifiable causes in explaining past events is THE MAIN PRINCIPLE OF ALL HISTORICAL EXPLANATION, and OF ALL SCIENTIFIC EXPLANATION. Since, the only causes we know are natural, then supernatural causes should never be part of our list any more than undetectable Martians should be part of our explanatory repertoire. Simple as that. Another crucial misstep in explaining the resurrection is misidentifying the object of explanation. An object of explanation ideally should be a fact before us. For example, the baby on the doorstep is a fact because, in my example, I saw it there. However, stories about particular babies on particular doorsteps a hundred years ago are not FACTS for those of us who were not there. Only the existence of the story before us is a FACT. To explain the existence of the story of a baby on a doorstep a hundred years ago, we apply the same rule of historical explanation, and weigh what is more likely to be the case (e.g., someone could lie about finding a baby to gain attention, etc) based on KNOWN/VERIFIABLE CAUSES. That is why Craig is constantly misidentifying things like the EMPTY TOMB as a fact requiring explanation. But the empty tomb is NOT A FACT to us. The STORY OF THE EMPTY TOMB IS A FACT. It is the STORY of the empty tomb that requires explanation, rather than the empty tomb. So, we apply our simple rule again to our question: What explains THE STORY OF AN EMPTY TOMB? Once we apply our main principle consistently, we can see that theological rationales or self-delusions are known and verifiable causes for creating stories of marvelous events. In fact, we can witness that today with Medjugorje, as I have pointed out. But I have never seen any god or supernatural cause produce a story of a resurrection. So, why should I use a cause I’ve never seen do anything, when I have so many that I have seen produce a story just as fantastic as that of the resurrection (Mary being alive after 2,000 years of presumably being dead). It is never is a question of a priori rejecting the supernatural in favor of the natural. Rather, it is a choice of using explanations that we know and can verify to produce the phenomena we witness as opposed to causes we have never seen do anything. The resurrection of Jesus cannot be regarded as an historical event because it violates a very basic principle of all historical explanation: The well-grounded preference for known/verifiable causes over unknown/unverifiable causes. We have plenty of causes known to produce stories of non-occurring resurrections today. They include lying, self-delusion, theological imagination, etc. We can test the validity of these causes and reproduce these causes almost at will. This preference for known/verifiable causes is not a priori or unduly prejudicial. The preference is grounded in the lack of any reason to prefer unknown causes over known causes for an ancient story. Preferring unknown causes would be irrational (= with no reason) by definition. Believers in the resurrection actually prefer known/verifiable causes when they explain virtually every other event they encounter in life, whether it be a flat tire or encountering a baby on a doorstep. Craig reveals himself to be a selective supernaturalist rather than someone who has any consistent or coherent philosophy for differentiating supernatural from natural events. He arbitrarily uses supernaturalism for the events he favors. In the case of Jesus’ resurrection in Matthew 28, he favors a supernatural explanation, even while he adopts a natural explanation for the resurrections in Matthew 27:52-53. Craig does so even when the latter passage has the linguistic hallmarks (SOMA; EGEIRO) he has identified as indicating a literal historicity for the Jesus story. Craig does so even when the Jesus story has the apocalyptic hallmarks (expectations of a final resurrection when the Kingdom of God is established) he identifies as indicating non-literal and non-historicity for the raising of the saints. Craig’s denial of the historicity of Matthew 27:52-53, definitively undermines his attack on methodological naturalism and his defense of the resurrection. It undermines his historical methodology. It undermines his entire doctrine of biblical inspiration and theology. Craig’s supposed battle against a priori naturalism is revealed to be pure rhetoric because he himself is just as much a naturalist about practically everything else he encounters in life. 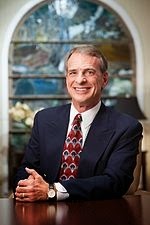 Yes, even William Lane Craig does not always believe that what his Bible says is true. 1. Why specifically do you believe that the resurrections reported Matthew 27:52-53 are not historical, while the resurrection of Jesus is? 2. If it is because the resurrections in Matthew 27:52-53 are only mentioned once, then do you also doubt other events or miracles recorded only once in the Bible? 3. How do you define “simplicity” and “apocalyptic embellishment,” and how does that affect historicity for you? 4. Do you think that all events reported in apocalyptic literature are not historical? If not, then how did you decide which ones are and which ones are not? 5. Do you agree that the words SOMA and EGEIRO are indicative that Jesus’ resurrection is meant to be literal? If so, then why not say the same of the use of those words in Matthew 27:52-53? 6. 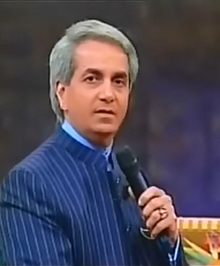 How did you falsify all the miracles attributed to Oral Roberts, Benny Hinn or myself? 7. How do you define “supernatural” and how do you detect its existence? 8. Why is it rational to use causes I’ve never seen do anything and reject causes that can have the effects I claim? 9. Is the empty tomb a fact to you? If so, what specifically makes it a fact? *Unless otherwise indicated, all biblical quotations are from the Revised Standard Version. Campbell, Travis James, “Avalos contra Craig: A Historical, Theological and Philosophical Assessment,” in J. Patrick Holding, ed., Defending the Resurrection: Did Jesus Rise from the Dead? (Xulon Press, 2010), pp. 290-306. Collins, John J. The Encyclopedia of Apocalypticism, Volume 1 (New York: Continuum, 1998). Copan, Paul, Will the Real Jesus Stand Up? A Debate between William Lane Craig and John Dominic Crossan (Grand Rapids, MI: Baker Books, 1998). Craig, W. L., Assessing the New Testament Evidence for the Historicity of the Resurrection of Jesus (Lewiston, Maine: The Edwin Mellen Press,2002).